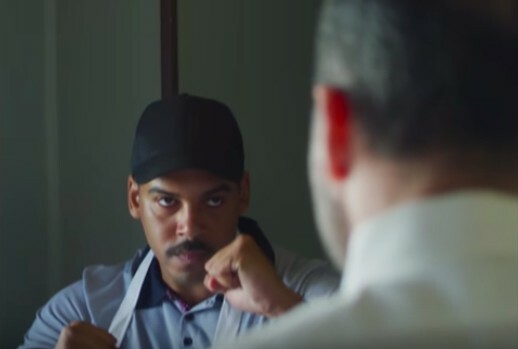 Zack Fox may be known as a comedian, but it goes without saying that the first venture into his solo rap career, “Square Up,” was incredibly successful. Between a haymaker-inducing instrumental from Kenny Beats and a set of ridiculous yet wildly entertaining lyrics, Fox made one of the most entertaining songs that I heard throughout 2018, and today, he’s back once again to deliver the accompanying visuals. Just as one might have expected, the music video here follows the exact level of insanity that the song brings forth. Fox and Kenny oversee a storefront while knocking out seemingly every wrongdoer in sight, and energized by the havoc that ensues, the song acts as a perfect backing soundtrack, translating this offering to the screen in a truly beautiful way. As if “Square Up” couldn’t get any better, Fox, Kenny, and director Reggie made sure that they properly illustrated this banger, and for that, we all need to show some love. Click play on this one below and let us know what you think in the comments!